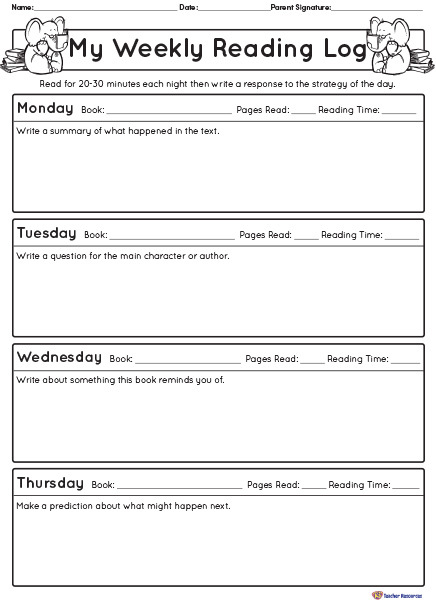 A weekly reading log for children to respond to a range of texts using different comprehension strategies. Ideal to use for weekly homework tasks. Children record their home reading for the week and write a response to the text. Print a copy for each child to take home as part of their weekly homework. Children read for 20-30 minutes each night, then write a response to the text.